About 2 weeks ago a girlfriend had just loosened her braids after over 7 weeks, funny we did the braids almost on the same day shortly before I traveled and I was getting my 3rd protective style and while she was just loosening the braids (shows i am into this healthy hair ish). She wanted to loosen the hair and retouch it immediately. I had to let her know that that was a 'no no' in healthy hair practice. Also when she was trying to detangle, she combed from roots to ends and of course her hair broke a lot. 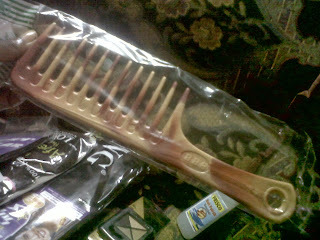 And when I asked her, how she combed she said ‘from roots to ends na’. And I said you are wrong! A couple of days ago my immediate boss has just loosened her braids and wanted to retouch also, I advised her to wash her hair and apply a protein treatment to prepare her hair for the damage that is going to happen when she retouches her hair. And she said, ‘won’t that cause my hair to burn?’. She said that is it not said that you should only retouch on dirty hair. A myth that until last year may, I believed. 1. Never loosen any protective style and retouch or relax immediately. Always give it about 1 week minimum. Because you hair was in the protective style, there are bound to be some knots and you need to effectively detangle it so that when your hairstylist is applying the relaxer, she doesn’t have so much tangles to deal with. Most hair stylists are not gentle, so they would yank your hair out due to their impatience. 2. You don’t need to have a dirty hair before you retouch or relax. It is always advisable to wash, apply a heavy protein treatment and deep condition with a moisturizing treatment at least a week before the chemical application. And no your hair won't burn if your hair stylists applies the relaxer the right way. Relaxers strip the protein out of our hair so by applying a protein treatment before and a light protein treatment after the relaxer has been washed off, you are trying to restore some of the protein that was stripped off. 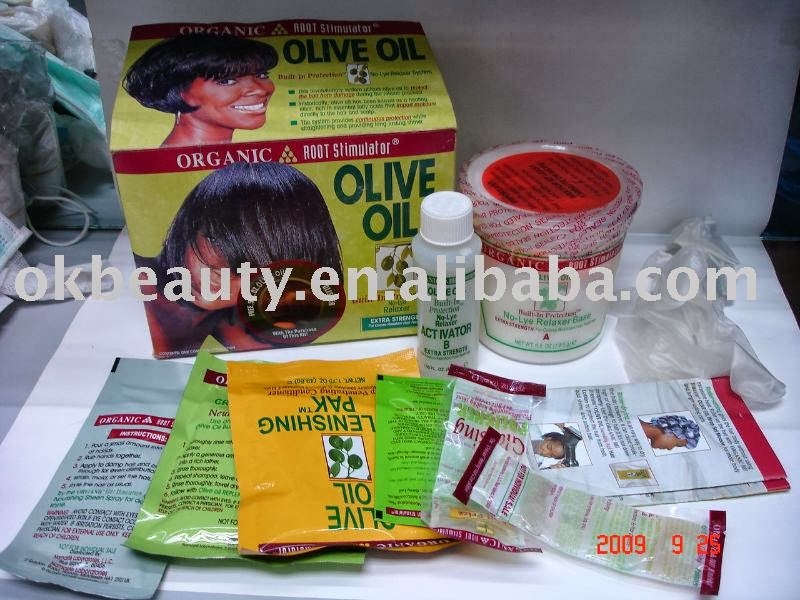 Some no lye relaxer kits have sample sized protein treatment. I know organic root stimulator includes a satchet labeled ‘replenishing pak’, it is a light protein treatment. However if you use lye relaxers or other brands of no lye relaxers, you can get their replenishing conditioner which comes in a 370ml bottle and you can use that for a long time (it has a fabulous smell and feels great on your hair). 3. When detangling aka combing always comb from ends to roots and comb in small sections. A lot of hair stylists would never detangle your hair the right way so I advise you to detangle your hair yourself with a wide toothed comb that has wide space in between the teeth and also gently. 4. When relaxing your hair make sure (THIS IS IMPORTANT! ), make sure that relaxer is applied only to your new growth and when it is first applied make sure that they apply it a few centimeters away from your scalp. This prevents your hair from being over processed and prevents you from having scalp burns. Also to prevent your previously relaxed hair from being over processed, coat the length of your previously relaxed hair with oil or grease. It prevents the hair from being processed from the relaxer and reduces the amount of breakage that you experience, thereby allowing you to retain your hair growth. Because whether we believe it or not black aka Nigerian hair grows and can grow long. We just need to prevent it from breaking and retain all the length. I think I need to stop right now. I didn’t know that this post would be this long. I have a lot more myths to debunk but I think I would take them one after each other in other posts. I hope I would be able to help them retain their length. I plan on making sure they follow their regimen for the next 6 months and see if they can at least retain 2 of the 3 inches of hair growth. I am also going to have to relax my hair sooner than I thought. I had planned to continue my natural journey till I was either 24 months or 28 months post relaxer but someone gave me a business idea concerning my love for healthy hair journey. And if I am going to make money out of it I need to be able to prove to people that Nigerian hair (natural or relaxed) can grow. And there is nothing like 'live evidence' in front of people. I have successful grown my natural hair to armpit level(from my stretches, it shows that my hair is that length), I want to see how long it would take me to grow my relaxed hair from armpit level to mid back length. I would talk about it more when I eventually relax my hair. I am trying to research on the best way to relax my hair so that I don’t suffer a setback. I no longer trust all these hair stylists. Well thanks for your info its really useful and interesting, I’ll definitely bookmark your blog for future reference.